Plaine Products has a mission to reduce waste in the world and help eliminate single use plastics. That’s why we offer natural products in aluminum bottles that are an easy alternative to plastic. We also support nonprofit partners that are working towards the same mission. 5 Gyres empowers action against the global health crisis of plastic pollution through science, art, education, and adventure. They have covered more than 50,000 miles across the North Pacific, North Atlantic, Indian Ocean, and South Atlantic Gyres, as well as the Great Lakes, to study plastic pollution. Through their educational presentations, they bring the expedition experience to students and parents. They teach conservation by engaging communities to think about how to protect our oceans by making smarter choices on land. Marcus Eriksen, 5 Gyres research director and co-founder said, “The best way to solve the world’s ocean plastic problem is to prevent trash from getting there in the first place.” To that end we are proud to be a part of their Plastic Free Shopping Guide. Products in their Plastic-Free Shopping Guide provide ways to decrease dependence on plastic while supporting the 5 Gyres mission. The Guide was created in response to daily questions they received about how people can live with less plastic. While the answer can be as simple as tossing a reusable water bottle or cup in your bag, they decided to make it easy by offering products to help all in one location. We are proud to be supporting 5 Gyres as one of our nonprofit partners. The mission of Plastic Ocean Project (POP) is to educate through field research, implement progressive outreach initiatives, and incubate solutions to address the global plastic pollution problem, working with and for the next generation to create a more sustainable future. POP is bringing together a community of world leaders focused on innovation, collaboration, education and outreach. They are spearheading and mobilizing focused research and innovative projects to meet the challenge of removing man-made debris from our oceans in support of our next generation while creating new sustainable businesses. Plaine Products is proud to have the Plastic Ocean Project as a part of our Plaine Promoters program and to have one of our founders, Lindsey McCoy, as a member of their Board of Directors. STRAWS is a powerful documentary film about straws and other plastic pollution that inundate our waterways and oceans. The film entertains and inspires action. It illustrates how individuals, groups and business owners around the globe are reducing plastic straw use through education, outreach, policy development and utilization of non-plastic alternatives. There’s a rising tide of individuals, businesses and public officials that are stepping up to be a part of the solution; and to help stop the use of plastic straws. STRAWS, the film, can amplify this movement and inspire a ripple effect, creating a sea of change around the world.The team behind the Straws film have established an impact campaign. Their goal is to bring to bring the Straws message to 250,000 students. One More Generation’s OneLessStraw pledge campaign strives to educate the public about the dangers of single use plastic straws, its effects on our health, our environment, and our oceans. Take the OneLessStraw Pledge today. We are proud to have One More Generation as a part of our Plaine Promoters program. The Post-Landfill Action Network (PLAN) is a non-profit dedicated to cultivating, educating, and inspiring the Student-Led Zero Waste Movement. 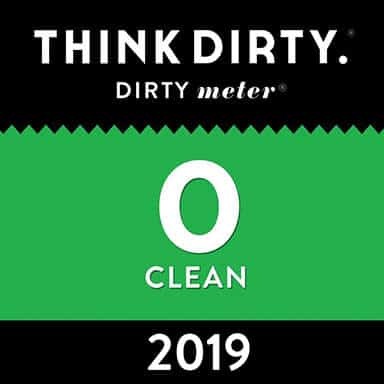 They inform students about the Global Waste Crisis and equip them with the necessary skills and resources to implement zero waste solutions on their campuses. Learn more at http://www.postlandfill.org/. We are proud to have PLAN as a part of our Plaine Promoters program. 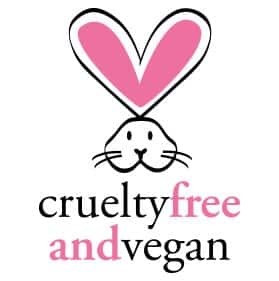 Plaine Products is proud to have achieved Leaping Bunny’s cruelty free certification, and delighted to be further partnering with them to promote their mission and ours. Leaping Bunny was created when eight national animal protection groups banded together to form the Coalition for Consumer Information on Cosmetics (CCIC). The CCIC promotes a single comprehensive standard and an internationally recognized Leaping Bunny Logo. They work with companies to help make shopping for animal-friendly products easier and more trustworthy. We are proud to have Leaping Bunny as a part of our Plaine Promoters program. Plastic Continents’ mission is to inspire, equip and mobilize people to take action that changes the world to become plastic-free. Their vision is that one day we will live in a more sustainable environment, reducing our plastic footprint, and eliminate plastic pollution from nature. We are proud to have Plastic Continents as a part of our Plaine Promoters program. Straw Free Cincy is a volunteer coalition that is on a mission to ensure there are one million less straws in Cincinnati’s landfills and the ocean by the end of 2018. This summer we’re starting a campaign to get restaurants and venues in Cincinnati to stop serving plastic straws. As companies join we’ll list them here so we can all do our best to support them and thank them for their efforts. Plaine Products is proud to be a founding member of Straw Free Cincy. If you think your group should be one of our nonprofit partners, please check out out our Plaine Promoters Program. Nonprofits can register and earn 10% of sales that they generate. All they have to do is share information about Plaine Products with their supporters and members. If you have something else in mind head over to our Contact Us page and drop us a line!